Could one of these men be the leader described in the Bible whose number is 666? 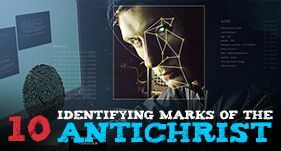 A few have thought that Antiochus Epiphanes was the little horn of Daniel 7, and thus the antichrist of scripture, however, his name does not add up to 666, and only a few of the prophecies could even fit him. Conspiracy theories abound regarding the United Nations and a New World Order, because of this, the secretary general of the United Nations is usually scrutinized for signs of being the leader of the antichrist. Ban Ki-moon replaced Kofi Annan as the Secretary General on January 1 2007. Some have said that because former President Obama had 18 letters in his name, "Barack Hussein Obama" which when divided by 3 = 6, that he can be identified with 666. The transliteration of this former president's name, 'William J. Clinton' into Hebrew and Greek comes out to 666. One of the most wealthy and powerful men in the world. Some have thought that the founder of Microsoft could be the antichrist. Some have said that his name adds up to 666 using the values of ASCII characters. Some have thought that since "Prince Charles of Wales" in Hebrew adds up to 666, that he might in the near future rule the European Union or United Nations for the 1260 days mentioned in the prophecy. With his recent push towards a new global currency, a few have pondered whether the current Russian President could be the antichrist of prophecy. 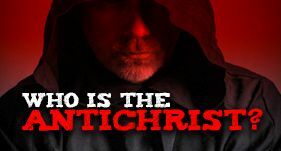 Until recently, most Bible students and scholars have recognized the Papacy as the antichrist of prophecy. The number 666 is associated with the title of the man who speaks for the Roman Catholic church. Some have said that "George Bush " adds up to 666 in Hebrew, some others dispute the transliteration used to come up with that figure. Some thought that Henry could be the antichrist because of the statement he made, "Peace is at Hand ", at the end of the Vietnam war. Henry's last name adds up to 666 if you count the letters like this a = 6, b = 12, c = 18, etc. etc. The Iranian President Ahmadinejad fits the description of being an influential religious and political leader but the links to 666 are very obscure. The former president of the USSR, associated by many with the NWO (New World Order) Mr. Gorbachev has been suspected of being the leader of the antichrist. Some have thought Mikhail to be the 666 man due to the 'mark' on his forehead which looks like a 'deadly wound'. Nero is said to be the antichrist by many who hold that the prophecies of the book of Revelation were for those living in the 1st century. He was well known for his cruel persecution of Christians, only outdone in ferocity and magnitude by the Roman Catholic church during the dark ages. 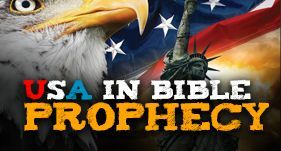 Some had wondered if Osama Bin Laden was the antichrist of Bible Prophecy, he was both a political and religious type of leader, his name can add up to 666 using some obscure methods. Many have thought the former US President Ronald Reagan to be the man with the number 666 due to his popularity and the fact that his first middle and last name, Ronald Wilson Reagan, each have six letters. Saddam Hussein was fixated with the idea of rebuilding Babylon, an ancient city that God said would never be rebuilt, he died before he made any real progress. Saddam likened himself to the Babylonian ruler Nebuchadnezzar but he never converted to the Creator God of the Bible as did his ancient hero. Both the first and last names of this deceased leader of Iraq add up to 666 in the Hebrew gematria. A few think that the present of the Russian Federation Vladimir Putin could be the antichrist. 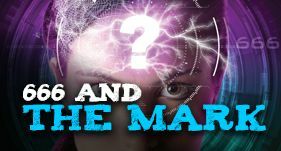 The prophecy says that the number of the beast, “is the number of a man.” Bible scholars have long understood that the beast here mentioned is both a religious and worldly power. Those who understand the first beast to denote a worldly power, take the second to be also a persecuting and assumed power, which acts under the disguise of religion, and of charity to the souls of men. It is a spiritual dominion, professing to be derived from Christ, and exercised at first in a gentle manner, but soon spake like the dragon. Its speech betrayed it; for it gives forth those false doctrines and cruel decrees, which show it to belong to the dragon, and not to the Lamb. It exercised all the power of the former beast. It pursues the same design, to draw men from worshipping the true God, and to subject the souls of men to the will and control of men. The second beast has carried on its designs, by methods whereby men should be deceived to worship the former beast, in the new shape, or likeness made for it. By lying wonders, pretended miracles. And by severe censures. Also by allowing none to enjoy natural or civil rights, who will not worship that beast which is the image of the pagan beast. It is made a qualification for buying and selling, as well as for places of profit and trust, that they oblige themselves to use all their interest, power, and endeavour, to forward the dominion of the beast, which is meant by receiving his mark. The natural conclusion would be that the prophecy is referring to the name or title of some man who represents this particular power. The word "name" can refer to a proper name and it can also refer to a title. In Revelation 19:16 the word "name" refers to "KING OF KINGS AND LORD OF LORDS" one of the titles of Jesus. The Bible instructs us to "count the number of the beast." The practice of counting the numerical value of names has been popular throughout history. Representing numbers by letters of the alphabet gave rise to a practice among the ancients of representing names also by numbers. 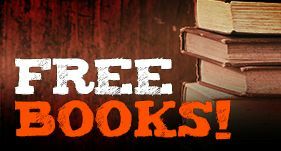 Examples of this kind abound in the writings of heathens, Jews, and Christians. Through out the ages, the names of men, emperor’s, kings, and religious leaders have been linked to this mysterious number. 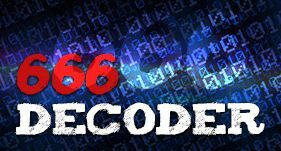 In order to determine the identity of the antichrist, who’s leader’s name can be identified by the number 666, many strange combinations of letters and numbers have been suggested in fulfillment of this prophecy. Thomas Newton in his Dissertations on the Prophecies said: "It was a method practiced among the ancients, to denote names by numbers it hath been the usual method in all God's dispensations, for the Holy Spirit to accommodate His expressions to the customs, fashions, and manners of several ages. Since then this art and mystery of numbers was so much used among the ancients, it is less wonderful that the beast also should have his number, and his number is 666." So many names, which is the right one? 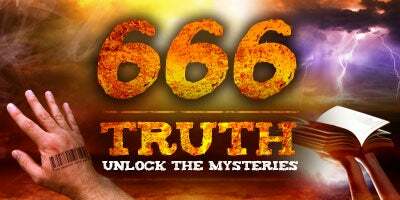 God never really intended for a person to be able to identify the antichrist and it’s leader soley on the basis of the number 666, rather the mysterious number was to be the culminating point on a thorough study of the topic. For the text starts out saying that those that have "understanding" should "count the number,"